Monitoring cash flow is key to a healthy business. A cash flow statement analysis is a deep dive into your business’s financial health and is a way to inspect your cash flow in and out throughout a given time period. Ideally, this should be done at least once a month to ensure your company has a healthy cash budget. For a small business owner, performing a cash flow analysis regularly is essential for success. After all, running short of cash is one of the most common causes of small business failure. The good news: Regular analysis of your cash flow can help you avoid this pitfall and manage your business more effectively. 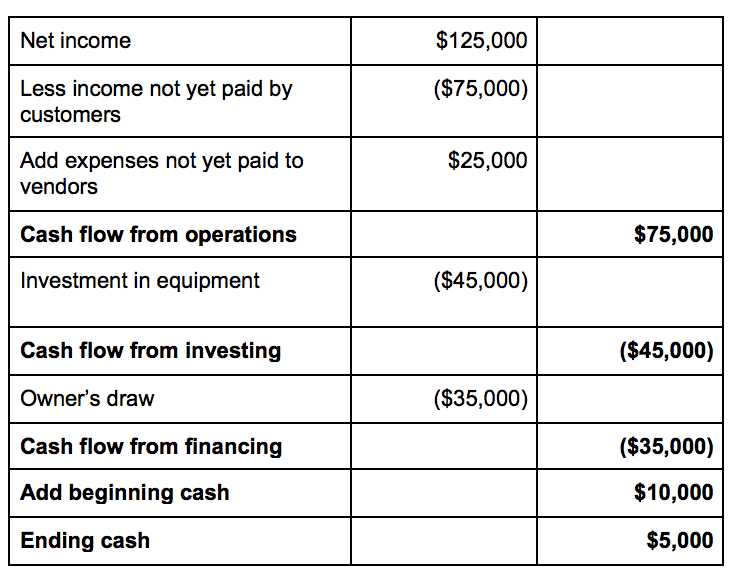 What Are the Basics of a Cash Flow Analysis? First, it’s important to understand what exactly a cash flow statement (also called a statement of cash flows) is and what it shows. This is a financial statement that records how money flows into and out of your business during a specific pre-determined period of time. It can help you better understand where your money is going and how much cash you have at any given time. Why Is Cash Flow Analysis Important? Creating a cash flow statement is a great first step, but if you don’t know how to read or analyze it, it’s not incredibly useful. A cash flow analysis gives you a well-rounded picture of your business’s financial health. Just as keeping an eye on your personal checkbook balance tells you whether you can afford certain personal expenses, regularly analyzing your business cash flow will tell you whether you’ll be able to make payroll, pay your suppliers, buy the materials to fulfill orders, or carry out expansion plans. If your cash flow analysis shows you’re running short of cash to meet expenses, you can plan ways to cut costs, obtain short-term financing, or take steps to accelerate income. If your cash flow analysis shows you have extra cash on hand, consider whether to invest it in new equipment or save for future slow periods. Keep in mind that having a lot of cash on hand doesn’t necessarily mean your business is profitable—that’s determined by your profit margins. Conversely, even a business with strong profit margins can get into financial trouble if it doesn’t have the cash on hand to pay the bills. And a business that has a lot of debt at one point in time can still be financially strong as long as the owner knows projected cash flow can be relied on to cover the debts. How Do I Conduct a Cash Flow Analysis? It’s a good idea to perform a cash flow analysis at least once a month, but you can certainly do so more often. If you are in a highly volatile industry or experiencing cash issues, you may want to do a cash flow analysis weekly or even daily. Project your cash flow out for whatever time frame you choose. Four to six weeks is a good starting point. The first step of a cash flow statement analysis is, of course, creating a cash flow statement. If you use accounting software, your program will have the ability to create cash flow statements easily. 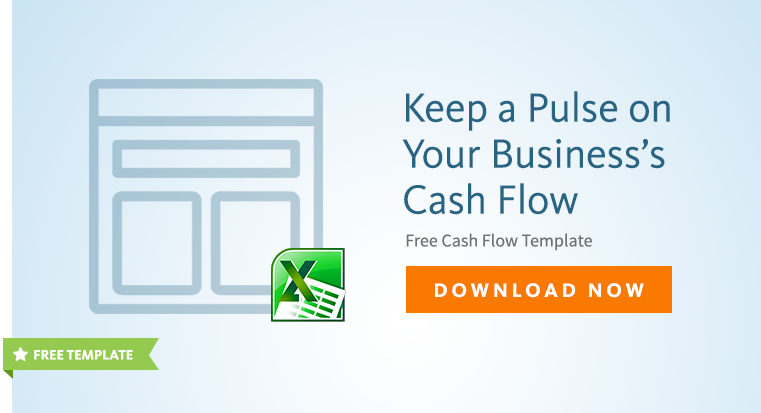 If not, you can download this free cash flow statement template. Next, fill in the blanks by adding cash inflows (money coming in) and outflows (money going out) in three categories: operating activities, investment activities, and financing activities. You’ll mark inflows as positive (+) and outflows as negative (-). Operating activities: Operating inflows include money received from sales/paid receivables. Operating outflows include money paid to suppliers, employee payroll, any taxes not related to investing or financing, and depreciation or amortization of business assets. Investment activities: This refers to the purchase or sale of assets not related to day-to-day operations, such as business equipment, real estate or securities. Money spent purchasing these items should be marked as outflow; money that you gain from selling or renting them out is considered inflow. Financing activities: Issuing stock to shareholders or buying it back, making payments on a business loan, or distributing dividends are all examples of financing activities. If you got a loan for your business, for instance, the loan would be recorded as an inflow; however, each payment you make on the loan would be recorded as outflow. Once you’ve recorded all of the relevant transactions on your cash flow statement, add everything up to arrive at the closing balance (the amount left at the end of the cash flow statement period). If the closing balance is higher than the opening balance, you have positive cash flow. If it’s lower, you have negative cash flow. What Should I Look for During a Cash Flow Analysis? Your main goal for your business is to make a profit and while a few months of a negative cash flow from operations isn’t always a big deal, you want this number to be positive as often as possible. The optimal scenario is this line increases every quarter or at least every year. In the example above, although the company had $125,000 in profit, they had $75,000 in uncollected debt from their customers, or late payments. This reduced the company’s overall cash flow by a lot and can be a sign that the company could do a better job collecting on invoices. Sometimes unexpected costs pop up and ruin a company’s cash flow. In the case above, the company invested $45,000 to purchase new equipment. Ideally, this is a one time expense and will pay off on future cash flow statements. 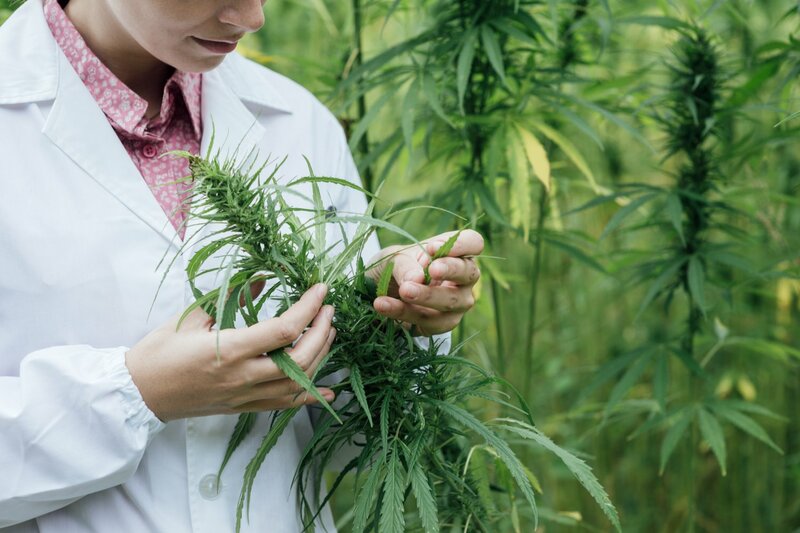 As a result of uncollected debt, an unexpected equipment purchase, and a $35,000 draw by the owner of the company, the ending cash flow during this period was only $5,000. What Should I Do With the Cash Flow Analysis Information? The more frequently you conduct a cash flow analysis, and the longer you do so, the more you’ll learn from it, as you’ll begin to see patterns. For example, you might notice that your cash flow is positive most of the time, but regularly becomes negative during the third week of every month. Unfortunately, you also notice that most of your business’s bills are due the fourth week of the month. This means you’re often caught short of cash, which is causing late payments and hurting your business credit rating and reputation with suppliers. If you can’t solve cash flow issues by shifting business internally, consider cash flow loans to help smooth out dips. Need some help getting started? 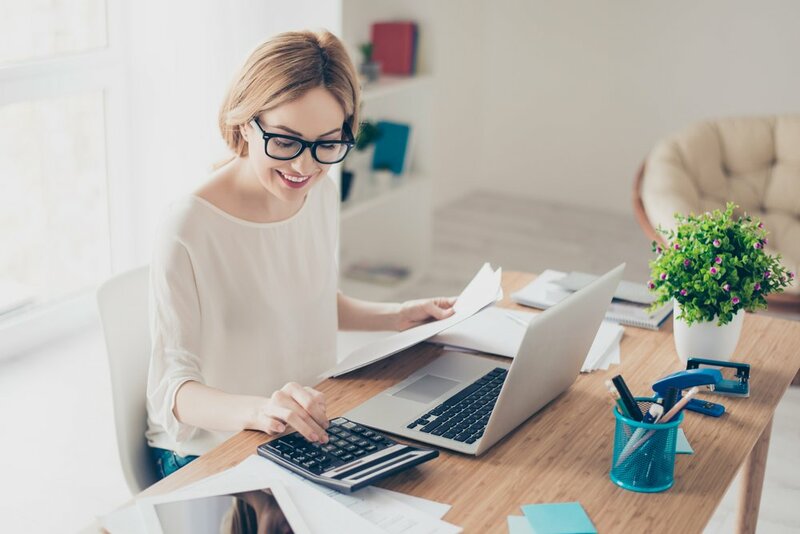 You can get guidance for doing a cash flow analysis from mentors at SCORE, advisors at your local Small Business Development Center (SBDC), adult education programs or online tutorials offered by your accounting software provider. Creating a cash flow analysis might seem intimidating at first, but once you’ve done it a few times, you’ll wonder how you ever ran your business without it. (Disclosure: SCORE and the LA-SBDC Network are clients of my company).